Welcome to Elliott Environmental Drainage Ltd.
Elliott Environmental Drainage Ltd is a specialist liquid waste and drainage Company with over 30 years industry experience. We pride ourselves on providing a professional and competitive service to both industrial and domestic clients throughout the South of England. Elliott Environmental Drainage Ltd are able to offer total drainage solutions, utilising the latest equipment. From diagnosis through to project completion we will find the most cost effective and efficient service, large or small. 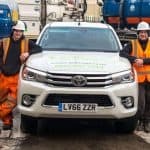 Elliott Environmental Drainage Ltd specialise in interceptor emptying and cleaning, tank emptying and cleaning, wetwell emptying, main line CCTV surveys, confined space work, chamber emptying and cleaning, floods, spills. We carry out these services within the electric and gas distribution networks, large warehouse distribution centres, hospitals and councils to name but a few. Elliott Environmental Drainage Ltd carry out projects within sensitive sites on a daily basis so health and safety is paramount to us. Elliott Environmental Drainage Ltd pride ourselves on providing a reliable cost effect service that is transparent. We aim to retain all clients no matter how big or small the job may be. Our experienced motivated team work within London and South East England. Whether pre-planned maintenance contracts or emergency reactive work Elliott Environmental Drainage Ltd will endeavour to deliver every time. Elliott Environmental Drainage Ltd have an experienced, professional and highly motivated team of engineers with many years of experience in all aspects of drainage problems that may occur within the residential environment.From household dwellings to large apartment blocks. Elliott Environmental Drainage Ltd clients include many leading management agency’s and landlords. We also serve local councils and care homes. Our experienced skilled engineers will endeavour to diagnosis and rectify your problem quickly and efficiently. Our vans are equipped with high pressure water jetting, drain rods, electro mechanical coring machines as standard. For a free quote or to book any of our services call 01303814478 or leave a few details on your Contact form below and we’ll come straight back to you. "We had a good experience with you and your guys. Elliott Environmental have always been great. I would be happy to recommend to anyone"
Dear Belinda, I was extremely impressed and pleased by the prompt response and the work done. Will and his colleague were just first rate and highly professional. You have a satisfied customer here- Thank you for that. Hi Gina, Barry, Terry, Bob and team completed the work on the Jetty today and have done a great job (as usual). So please pass on my thanks/appreciation for their efforts. Hi Gina I just wanted to thank you and your team for the Tanker Evacuation and clean up carried out today at Great North Park Finchley. This was the first time we had used Elliott Environmental and our technicians on site informed me that that your team were extremely professional, courteous and meticulous. The job was done in good time and the site was left clean and tidy in preparation for our guys to start their work on the pumps. 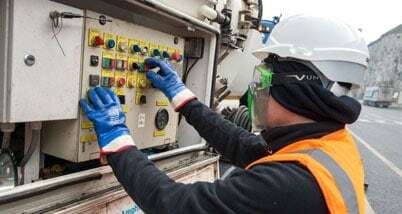 We are currently inundated with work, fortunately, and we shall be using Elliott Environmental as our preferred contractor for Tanker Evac’s and waste removal for all the forthcoming projects. Please thank your colleagues who were on site today and I shall be in touch shortly re the other works that we have lined up. We were very pleased with the performance and the professionalism of the staff whilst carrying out the maintenance and being on time and managing to complete the works within the timescale given. Their H&S was very satisfactory and managed to separate the public from their working areas in a number of high foot fall zones. Their daily reporting was good and kept the building managers up to date on progress. We would also like to thank the team for going beyond what was expected of them when clearing drains which have been blocked with concrete and other debris. We would like to thank you and your engineers for a great service. Following my earlier conversation I would very much like to reiterate how impressed I was with their service and how professional they were and how pleasant they both were. It was lovely to have such contractors visit the estate and carry out the work with such efficiency.